Each week in October this year, as part of our Shocktober Classics event, we'll be featuring a different director who has significantly contributed to the horror genre, with new reviews for that director's films from Monday to Friday of that week. 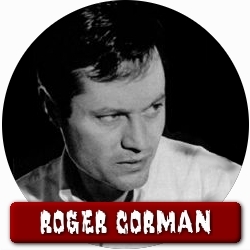 We kick off with Roger Corman, a man known as much for his film's budgets as the films themselves. Corman (born April 5th, 1926) started his directorial career in the mid-1950s, helming low-budget Westerns, sci-fi flicks, and crime dramas on tightly maintained schedules. With screenwriter Charles B. Griffith, he made a trio of horror-comedies: A Bucket of Blood (1959), The Little Shop of Horrors (1960), and Creature from the Haunted Sea (1961). In 1960, in response to the growing popularity of Hammer's Gothic revival, he convinced the studio heads of American-International to afford him the budget of two of his usual black-and-white pictures to make a single color picture with a name actor in the lead. The result was Fall of the House of Usher (1960), starring Vincent Price. Price and Corman would go on to make six other films in their "Poe cycle" as well as a 1962 remake of Universal's Tower of London. Corman also made one Poe film without Price, The Premature Burial (1962) with Ray Milland. After completing his Poe cycle with 1964's Tomb of Ligeia, Corman turned his attention to realistic gangster movies like The St. Valentine's Day Massacre (1967) and counter-culture films like The Wild Angels (1966) and The Trip (1967). Eventually tiring of the pressures of working for American-International, he struck out on his own, forming New World Pictures. He stepped back from the director's chair and produced almost exclusively. 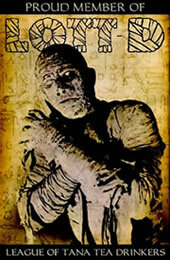 After the WWI-set Von Richthofen and Brown (1971), Corman would not be credited as a director of a film for another 19 years, with Frankenstein Unbound (1990). Corman is equally notable for directors whose careers he helped launch, including Francis Ford Coppola, Jonathan Demme, Joe Dante, James Cameron, Martin Scorcese, Jack Hill, Monte Hellman, and Peter Bogdanovich. Edited 10/01/07, 10:21 PM PST: We have just discovered that Corman's frequent screenwriter Charles B. Griffith passed away on September 28th, 2007 of undisclosed causes. In recognition of his contributions to the genre, which include the scripts for A Bucket of Blood and The Little Shop of Horrors, we extend this week-long celebration of Corman to honor Griffith as well.